Most importantly, maintaining a child’s health and happiness is underlined throughout. Drawing on author Steven Beer’s extensive contacts in the industry, the book quotes the personal experiences of industry players, stars and their parents, and veteran sources. 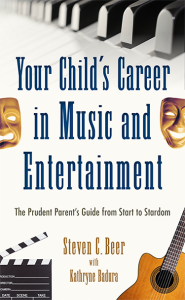 This indispensable guide will help parents ensure that their children are instilled with morals and values that will make them not just good performers, but good people, capable of becoming responsible adults who will run their own careers someday. Order your copy on Amazon today!